Studying and practicing drum set for over 12 years, 8 years professionally. Familiar with all styles of music, specializing particularly in the styles of rock, metal, jazz, worship/soul, and fusion. Played thousands of gigs and still going, also hundreds of hours in music studio settings. 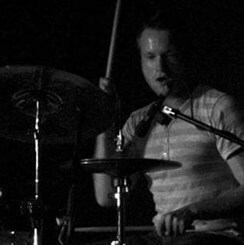 House drummer at Eastwood Baptist Church for about 6 years, toured the country with Christian rock band Cord of 3 for 4 years with singles reaching top 20 on Christian rock music charts, also played with numerous artists in my local area. Studied music performance at Western Kentucky University for over 2 years. Teaching drum set for over 6 years. My teaching philosophy is very simple, keep it fun, fresh, and productive while addressing the individuals personal goals and interests to find your own unique sound and style.